The Sheridan School District Elementary Teacher of the Year is Wendy Todd. Mrs. Todd has 18 years of service in education with 11 of those years serving the students in Sheridan schools. Reaching struggling learners is her specialty. Mrs. Todd teaches students in kindergarten through second grade at our Alternative Learning Academy. 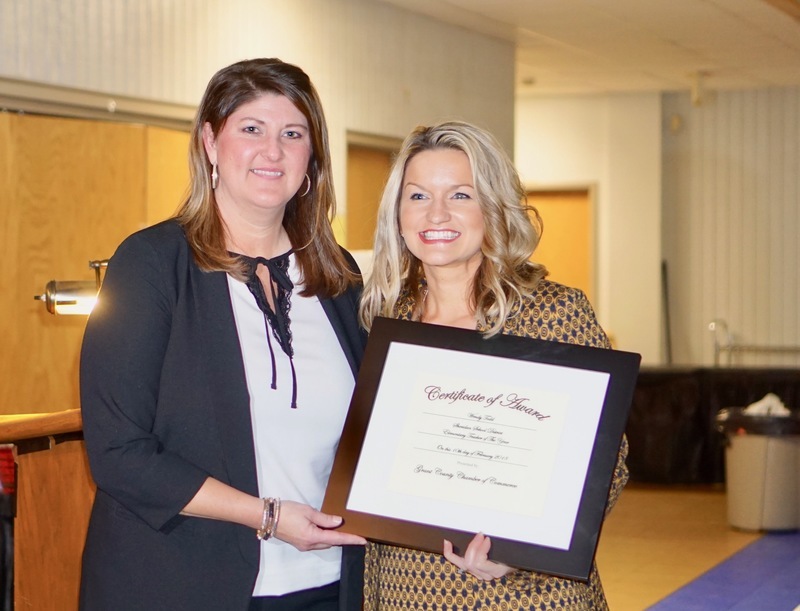 According to her principal, Dee Creed, she has embraced the challenge of providing instruction to three different grade levels in her classroom along with providing daily character education for her students. Mrs. Todd adapts her instructional methods to meet each student’s unique academic and social needs. As a teacher in the alternative learning program, Mrs. Todd understands the importance of ensuring her students’ mental, social and emotional needs are met. She says her method of teaching starts with building a relationship of trust and a happy learning environment. When Mrs. Todd is informed she is getting a new student, she takes her prep period to go to the student’s home campus, introduce herself, and let the child know how excited she is that he or she will be joining her classroom. She takes great care in learning everything about her students’ learning styles and barriers to their academic success.